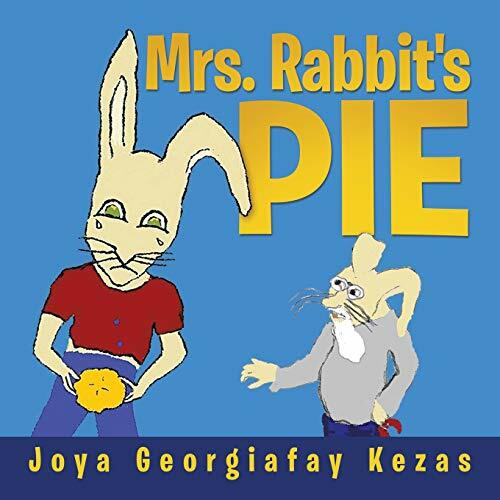 Twitty Rabbit stole a pie from Mrs. Rabbit's kitchen and ran away with it. Mrs. Rabbit was upset when she saw what Twitty had done. When Twitty settled on a tree in the forest to eat his pie, he found out his hands were stuck to the pie pan. He started to think of what he had done and felt sad and guilty. He was sad he couldn't eat any pie too. So he decided to return the pie and ran back to the Rabbits' house. Twitty Rabbit stepped forward and said, "Mrs. Rabbit, I am sorry for all the trouble I caused. I really just wanted a piece of pie. My grandma is too old to bake pies, and I haven't had any pies since my mother died." Mr. Rabbit's stern face softened as he said, "Twitty Rabbit, we know it has been difficult for you since your mother died, but you must learn it is better to ask for something than it is to take without asking. A lesson must be learned here."